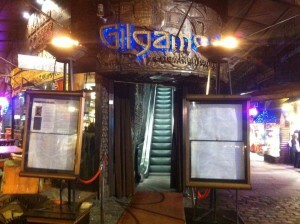 Gluten Free Living - Gilgamesh, coeliac heaven! First of all I'll start by saying I am by no means a food critic. I know absolutely nothing technical about food, and literally couldn't be any less of a food snob. Take me to Nando's and I'm happy (classy bird...I know!) But I am going to write about a restaurant today because not only was the food absolutely incredible, but the staff's knowledge of gluten free food and coeliacs - to put it in the cheesiest way possible - blew me away. In case anyone has missed previous posts or the title didn't give it away - I love a 'does what it says on the tin' title - I'm Coeliac, which in layman's terms means I can't eat any Gluten. I don't want to bore you all off to sleep as thankfully (and at long bloody last) Coeliac disease is something that's becoming more and more spoken about but in the quickest sentence ever - bearing in mind how much I ramble - gluten includes wheat, rye, barley and oats (100% oats are fine but I won't go into that right now) which basically means avoiding gluten in restaurants is an absolute nightmare! As soon as I got the chance I managed to find a waiter to talk to about what items on the menu were safe for coeliacs. They immediately bought the manager out to me, who I literally cannot praise enough! He asked me every item on the menu that I might be interested in, then disappeared out the back. A matter of minutes later he returned with a whole list of items that were completely gluten free, and then what adjustments they could make to dishes to make them suitable for a coeliac. I ended up with a whole tuna and salmon sushi platter (including gluten free soy sauce), chicken and mango salad (that had been prepared especially to avoid cross contamination) and a Thai red curry that I still dream about to this day. (And yes, in case you were wondering, I polished off every last bit.) The manager even went on to say how sorry he felt for me, bless him! I still haven't grown enough balls (plucked up the confidence for anyone whose never heard of that phrase before and therefore went right over your head) to take pictures of the meals I had. I'm sorry, I know that's ridiculous for a blogger but I can't quite deal with the "oh my god what a loser, she's taking pictures of her food" looks yet. But all I can say is that it was presented as beautifully as you'd expect from a restaurant with a reputation like Gilgamesh has. Amazing food and lovely atmosphere aside, I was just completely shocked and overwhelmed by how knowledgeable and attentive the manager was to my needs. I actually bored the life out of everyone who was with me by gushing for about an hour how rare it is for restaurants to know that much about gluten free food. 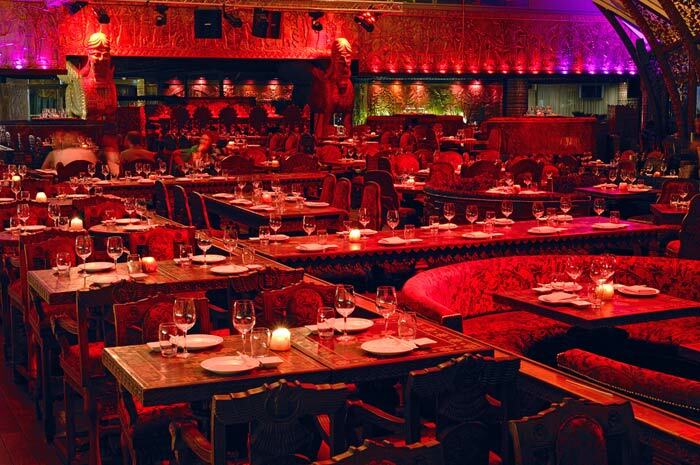 So to wrap it up, because I'm even boring myself now, if you're coeliac or simply like to eat gluten free and miss Asian food...you have to visit Gilgamesh, you will not be disappointed!! I love a good review. I love the fact that not only do I get a chance to waffle/ramble/basically bore the life out of everyone about some random product, but there's also a slim chance - very slim chance admittedly - that what I have to say may help other people find products that they love as much as I do. "Infused with luxurious Argan Oil for the ultimate salon indulgence. Liquid Gold is a lightweight, restorative formula that is instantly absorbed by your hair. Liquid Gold nourishes and transforms your hair, reducing frizz and improving manageability aiding effortless styling. It gives you a touchable, velvety finish for a radiant salon shine. The lightweight, luxurious formula is instantly absorbed to help nourish and reduce frizz, providing the ultimate salon indulgence to instantly transform your hair." I have long thick hair, and a lot of it, and I use only 1 pump on the lengths of my hair using it on both slightly damp and dry hair. It smells lovely, sweet but not overpowering and somehow - I have no idea how or why, science was never my strong point at school - it manages to completely nourish my hair without feeling greasy or heavy and weighing it down. Tresemme Liquid Gold leaves my hair sleek, shiny, smooth, not frizzy whatsoever (and if you've seen my before pictures on this post here you'll know that that's a big deal) and basically just really healthy and shiny. There's not much more to say about this other than I love it and have used it ever since I bought it about 4months ago. The picture below shows just how little product you need and how long it lasts, 4...yes 4 bloody months and this is all I've used, bargain of the century! Casual OOTD and work freebies! As well as the fact that I’ve had no time, I’m also sitting here with disgustingly chipped nail polish, flat dull hair, corpse like skin….I’m painting a beautiful picture here aren’t I? Anyway, the point in making me sound even more like Shrek was just me trying to convey the fact that I couldn’t feel any less like a fashion/beauty blogger right now! Awkward, not quite got the hang of the whole 'take a natural picture of my outfit' pose: all my own! On a completely different note, I love a good ramble, one of my favourite perks of the job is the occasional freebie. Personally, I love a good tan (just letting you know in case the orange elbows and permanent 'glow' despite living in gloomy London didn't give it away enough) so I was embarrassingly excited when I walked into work and was greeted by a nice big pile of Vita Liberata products to choose from. I went for the Phenomenal 2-3week self tan mousse (try saying that when you're drunk) and I can't wait to try it. And of course I'll be telling you exactly what I think of it once I have. Thanks for reading everyone, hope you enjoyed this post. I promise I'm going to post more this week even if it means me getting up at 3am (slight exaggeration) or pulling an all nighter (massive exaggeration) I'll be posting. Which I'm sure makes you dedicated readers...ok, my mum...very happy! Anyway, I finally have a couple of days off which I plan to spend shopping, seeing friends, catching up on all my favourite blogs and YouTuber's (obviously), and watching all the TV I've missed (oh how I've missed you Downton Abbey!) ROCK AND ROLL! For anyone not in the UK or who hasn't been taking much notice, it was the first weekend of The X-Factor/Xtra-Factor live shows last weekend, meaning that every day of last week was absolutely manic and to be honest, really stressful at times. But (there's always a but) there really is nothing like the buzz that you get from working on a live TV show, and every bit of stress is completely worth it when you see everyones hard work come together! Hope everyone who watched the shows, and all those who couldn't and have obviously sky plus'd it to be watched as soon as they get a chance ;) enjoyed/enjoys them. And the award for the most shameless plug/hint to watch Xtra goes to....yours truly! REVIEW: Liz Earle Cleanse and Polish...Star Product! Now, before you all think I'm slower than a snail when it comes to trying 'cult products' don't worry...I'm not. This product is by no means new, in fact, if you're interested in your skincare/beauty products, are a keen reader of blogs (or have read at least one blog) or let's just be frank...if you haven't been living under a rock for the last few years then I'm sure you will have heard or seen a bit of a buzz around Liz Earle's Cleanse and Polish Hot cloth cleanser. Cor, that was a right mouthful weren't it? she doesn't make it easy for us, ole Liz, does she? Anyway, I'm going off track (me, ramble? never!) if you haven't heard about this you're in luck because I'm about to rave about this bad boy like I've never raved before. Well, I probably have but you know what I mean! I first bought this cleanser about 2 years ago (ish) after hearing LOTS about it in various beauty articles and after hearing Laura talk about it - back in the Lollipop26 days - on her Youtube Channel. By the way, completely going off point again, if you haven't checked out her blog, do it. Witty, ridiculously stylish and, I kind of feel like I live my shopping life vicariously through her (without the cries from my bank account...bonus!) Back to the product, to put it quite simply, I bought this 2years ago, and I've never used anything else since! "Ideal for your morning or evening cleanse, this formulation works on every age and skin type, offering concentrated yet gentle cleansing power. Our plant-based cleanser has a two-phase action. Phase one is the cleansing. Free from mineral oil, it has a rich and creamy texture and swiftly removes all traces of face and eye make up, even stubborn mascara. First of all, the formulation. It's a pretty thick but undoubtedly luxurious cream that is so soft and gentle on your skin, that it really does work for any skin type. I have normal to slightly oily skin and I have never had any issues with this, whilst at the same time a friend of mine has extremely dry skin and it does wonders for her too. I use it once a day (normally at night to remove the last traces of my 10inches of makeup) massaging it in, leaving it to work it's magic for a while before removing it with the muslin cloth included with the starter pack, and also available to buy at at counters. Another thing to note is its smell, it has a strong eucalyptus smell which personally doesn't bother me either way but if eucalyptus is not your thing, then I would bare that in mind. What I think is a major selling point for the cleanse and polish is that it's completely safe to use on your eyes - closing them first obviously, common sense I know, but thought I'd add that in for anyone out there with a similar IQ to me ;) - really massaging into the lashes. I am not joking when I say that this product removes ALL traces of make up, even waterproof and the practically semi-permanent Max Factor false lash 24hr. After letting the product sink into your skin for a while, I then use a muslin cloth which gently exfoliates away any leftover makeup and dead skin cells (what a lovely thought). I am not joking when I say these two steps together leave your skin feeling unbelievably clean, clear and fresh, and for someone that quite often works 19/20 hour days (meaning that my orange war paint...I mean foundation...has been on my skin a long time), it is quite literally a god send! So there you are, I know there are a large amount of reviews on this product - probably written a thousand times better, and a million times more seriously - but I thought I'd share this must have product for me, with you. Oh yeah, awkward 'let's try and make this look natural and less posey' photo's are 100% my forte!